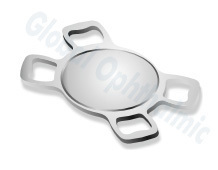 HEMA fold is a Hydrophilic foldable IOL with 360° step square edge optics. With enriched industrial experience and knowledge, we are providing our clients with a wide assortment of Hema Fold FS 5725D Hydrophilic Foldable IOL. Designed with utmost precision, the offered lens is designed using quality-proven violet blue light filtering material with the aid of sophisticated technology in synchronization with set industry standards. In addition to this, the provided lens undergoes various tests by our quality controllers, in order to ensure its flawless nature. 360° Step Square Edge on posterior Side. With enriched industrial experience and knowledge, we are providing our clients with a wide assortment of Hema Fold FS 6025D Hydrophilic Foldable IOL. Designed with utmost precision, the offered lens is designed using quality-proven violet blue light filtering material with the aid of sophisticated technology in synchronization with set industry standards. In addition to this, the provided lens undergoes various tests by our quality controllers, in order to ensure its flawless nature. With enriched industrial experience and knowledge, we are providing our clients with a wide assortment of Hema Fold FS 6030D Hydrophilic Foldable IOL. Designed with utmost precision, the offered lens is designed using quality-proven violet blue light filtering material with the aid of sophisticated technology in synchronization with set industry standards. In addition to this, the provided lens undergoes various tests by our quality controllers, in order to ensure its flawless nature. With enriched industrial experience and knowledge, we are providing our clients with a wide assortment of Hema Fold FS 6005 Hydrophilic Foldable IOL. Designed with utmost precision, the offered lens is designed using quality-proven violet blue light filtering material with the aid of sophisticated technology in synchronization with set industry standards. 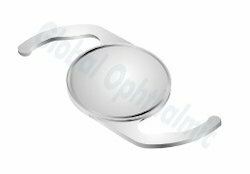 In addition to this, the provided lens undergoes various tests by our quality controllers, in order to ensure its flawless nature. 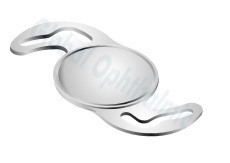 Looking for Hema Fold Lens ?